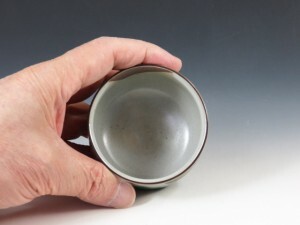 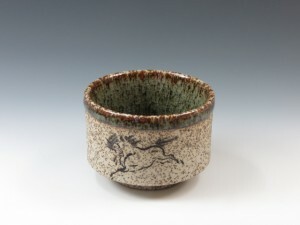 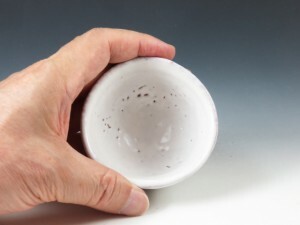 A refined harsh sake cup with a Hashirikoma (or galloping hose) mark ! 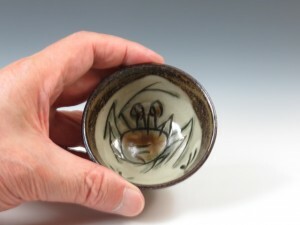 A typical sake cup with a Kani (or crab) design inside and traditional arabesque pattern in red ! 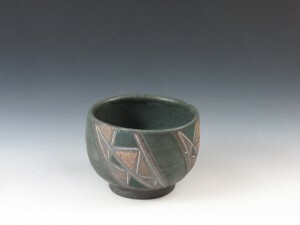 An olive green sake cup line-inlayed and then colored ! 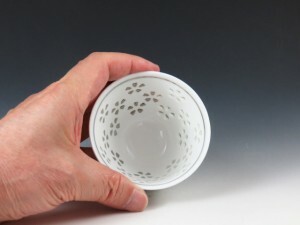 An engraved sake cup in Chosen-karatsu style ! A beautiful sake cup decorated with a full of flowers in crystal carving and a sophisticated silve ring ! 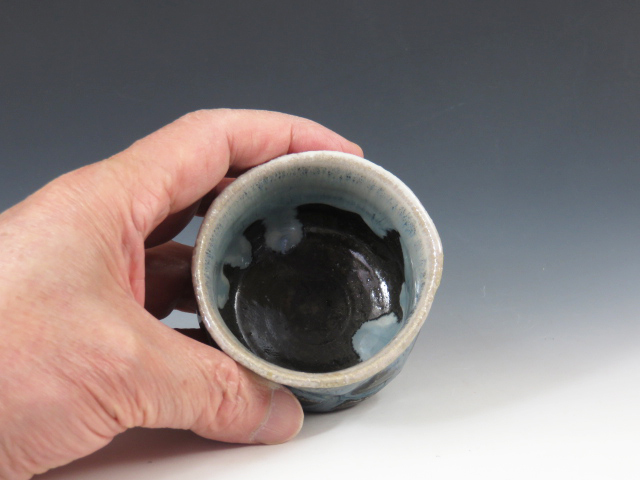 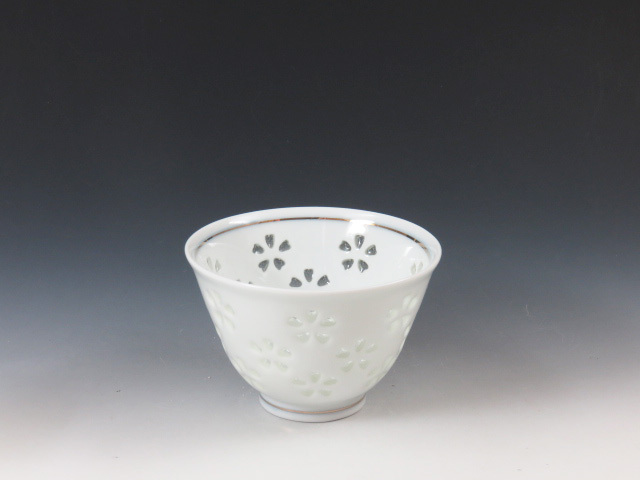 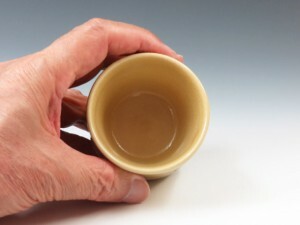 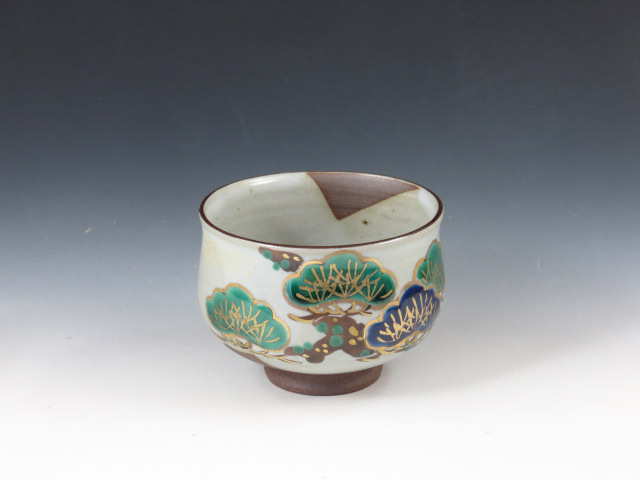 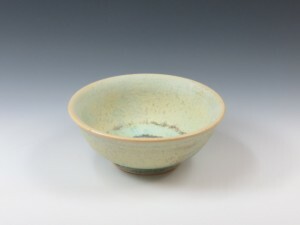 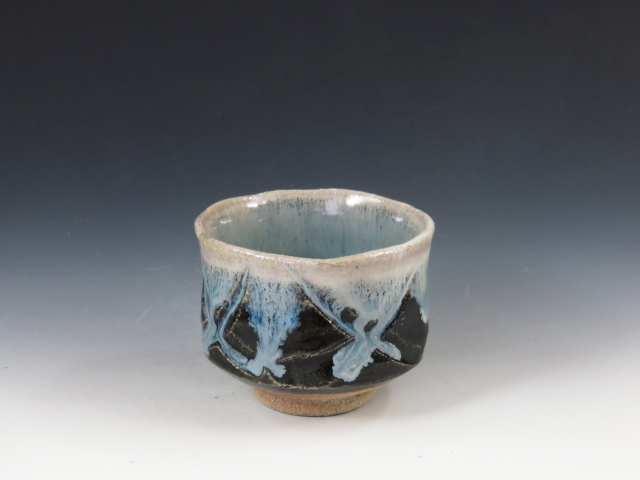 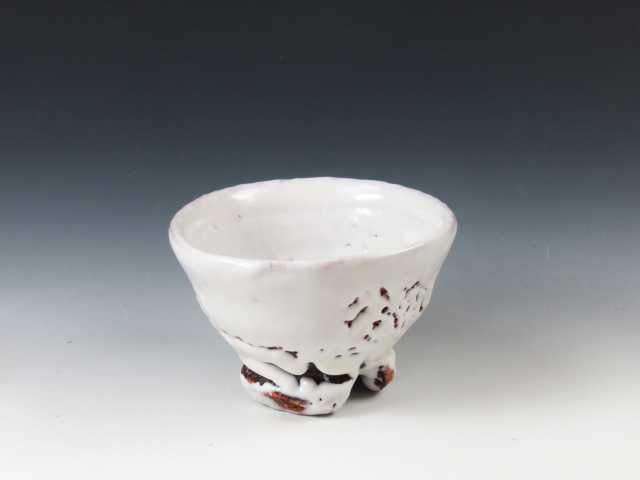 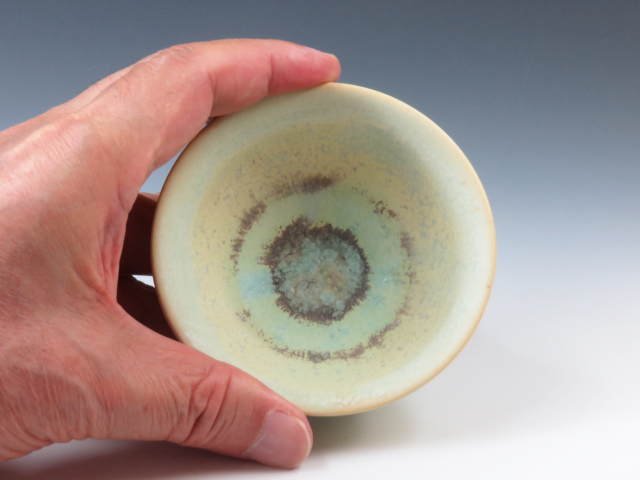 A white sake cup applied richly with “Hagi” glaze and with the notched foot ! 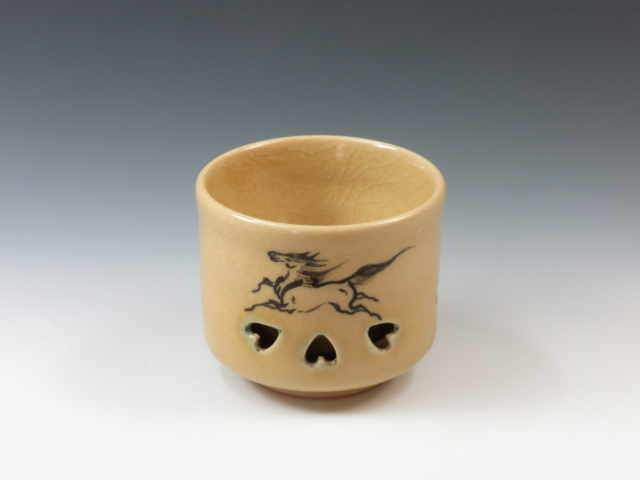 A yellow double-walled sake cup with a traditional galloping hose mark ! 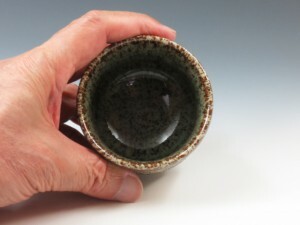 A Tenppyo no Iraka (or copper rust) flat sake cup with crystals condensed inside ! 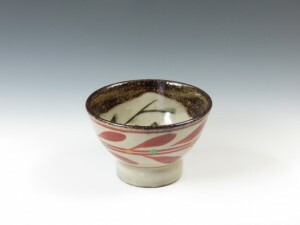 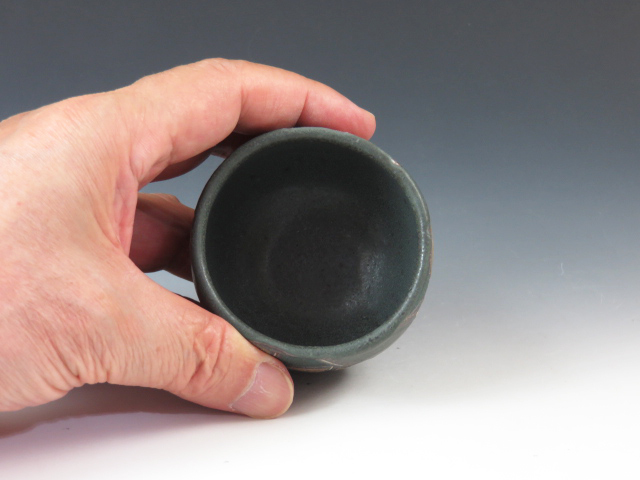 An elegant pottery sake cup with a pine tree in typical Japanese motiff ! 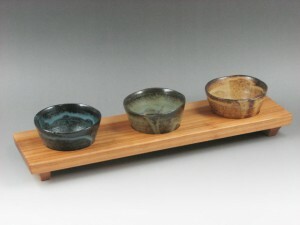 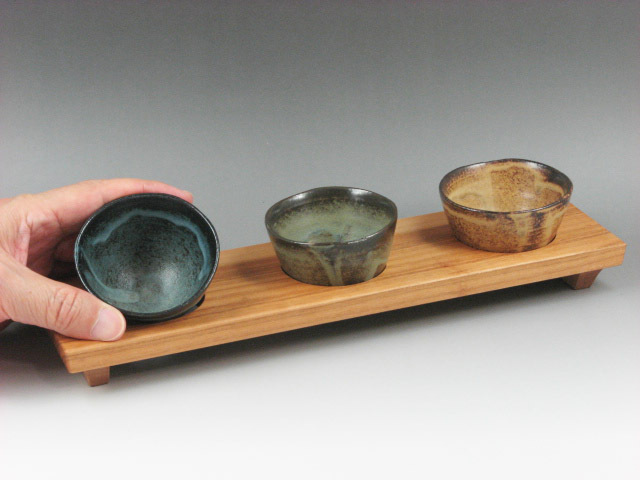 Three sake tasting cups in impressive Irabo (mottled) glazes and with the “Japanese oak” cup rest !